This post is sponsored by Lab & Co Luxury candle supplies. Thank you for supporting the brands that keep Tell Love and Party going. 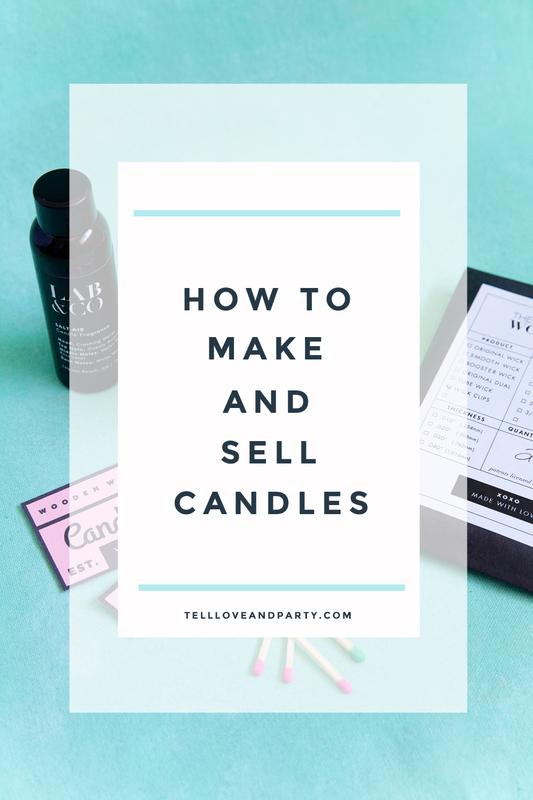 Have you ever tried candle making?? 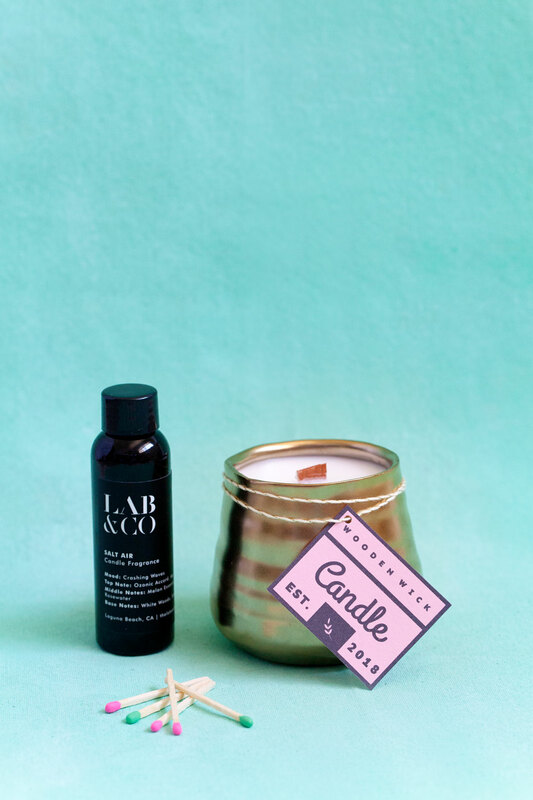 I have ALWAYS wanted to but it always seemed so daunting…but then Lab & Co reached out and it was like candle heaven fell onto my lap. I am NOT joking. 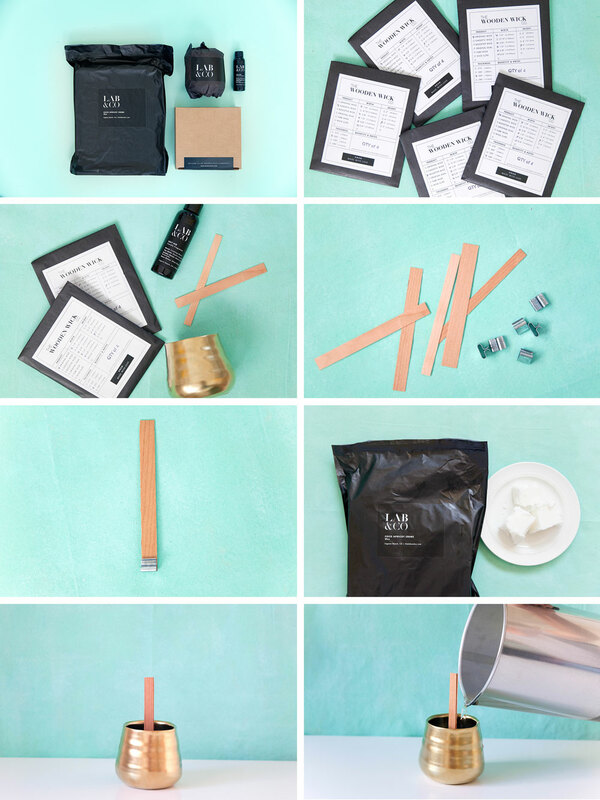 DIY luxury candle making made simple…AND the perfect way to make homemade gifts (hello! The Holidays are coming up!) OR start selling your own!! I am not exaggerating when I say I might just start selling candles soon ha ha. 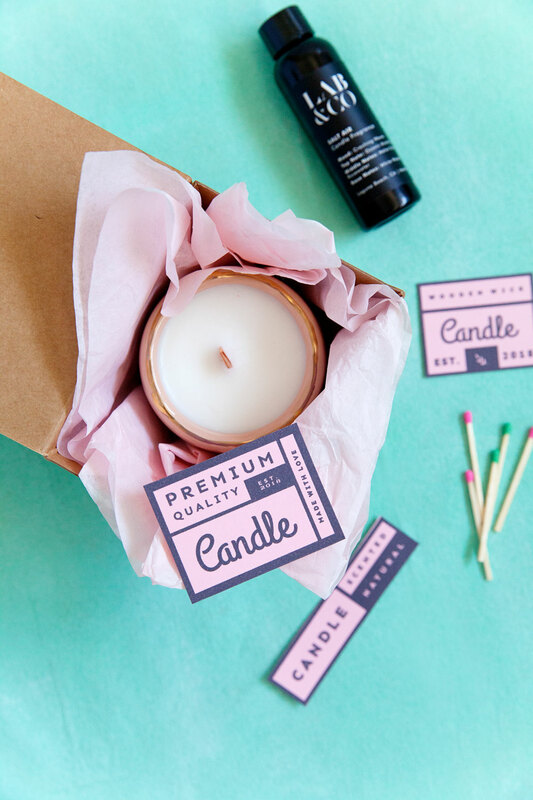 I am honestly so excited to show you how gorgeous and simple their candle making supplies are. 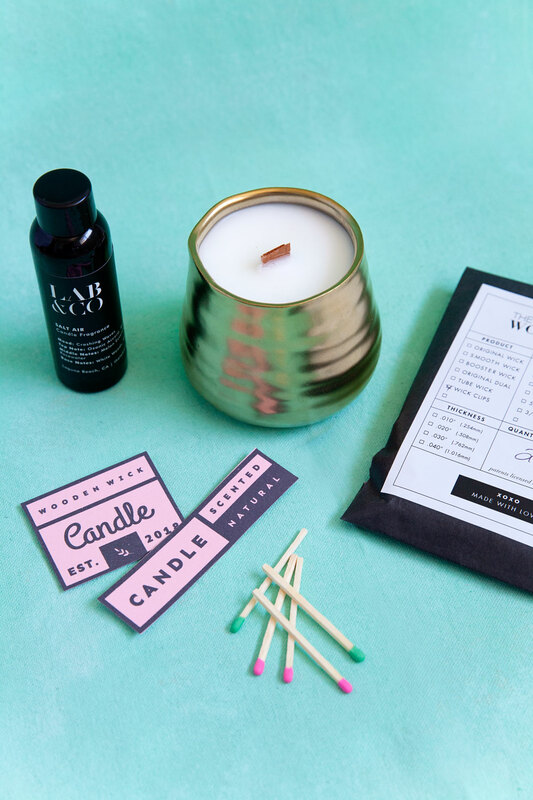 Now let’s get our candle making on…trust me you will be hooked too!One thing I think that struck me first about Lab & Co. was their design. Seriously gorgeous! I took one look and was like “YES! I already love it!”. But guys, looks aren’t everything and let me tell you… they have the whole package. From their beautiful unique vessels (seriously take a look!) 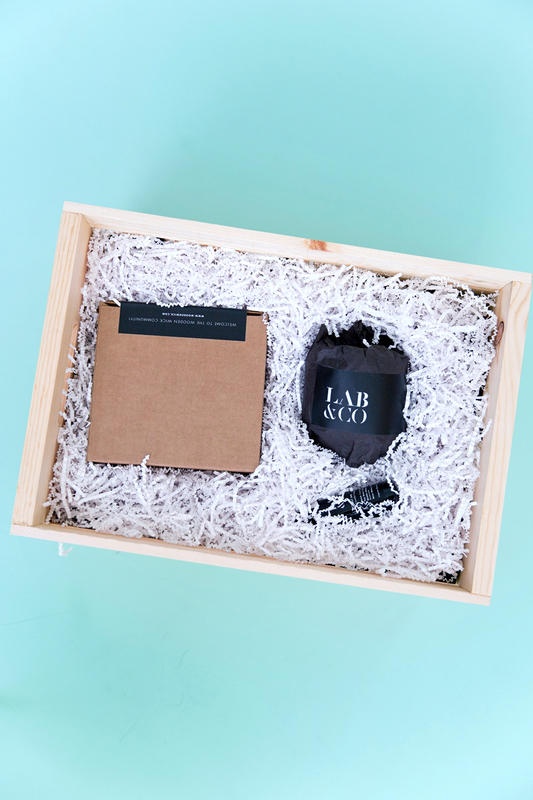 to their exclusive fragrances, luxury packaging and even the best performing luxury waxes available, it’s just all too good. And stunning candles that are also amazing quality! Candle making is definitely more of a science than I realized but they had sooooo many helpful videos and FAQ’s when it comes to portions, wick selection etc. I didn’t feel overwhelmed at ALL! And making candles (which always seemed like a lot of work) was easy, simple and fun. -First, melt your wax. 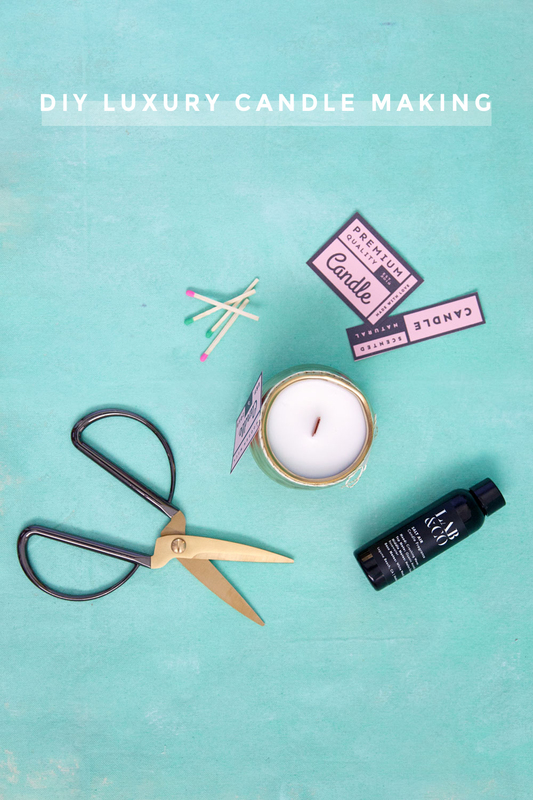 Depending on how many candles you are making your wax portion might be more or less. I made two small candles so I cut off three 4-inch chunks of wax. -Once the wax is melted put in your thermometer. Pouring in the fragrance at a certain temperature makes a big difference. You can read about it here. But I poured mine in at 180 degrees. -Fragrance amounts can be up to your discretion depending on how fragrant you want your candle, but also too much can affect the burning. You can find fragrance portions here. For me, I added about half of my 8oz container to make two candles. -I let my wax cool to 160 degrees before I poured it. While my wax was on the stove cooling I put my wick and wick clips together. Wooden wicks are kind of the coolest!! And so simple, which I love. -Take your selected wick size and put it in the wick clip and place it inside of your candle vessel. -Now it’s time to pour in your wax. -Let it sit till it has completely cooled. If there are any bumps or sink holes you can smooth those out with a heat gun later. It gives the top of your candle that finished look. -Lastly, cut your wick. 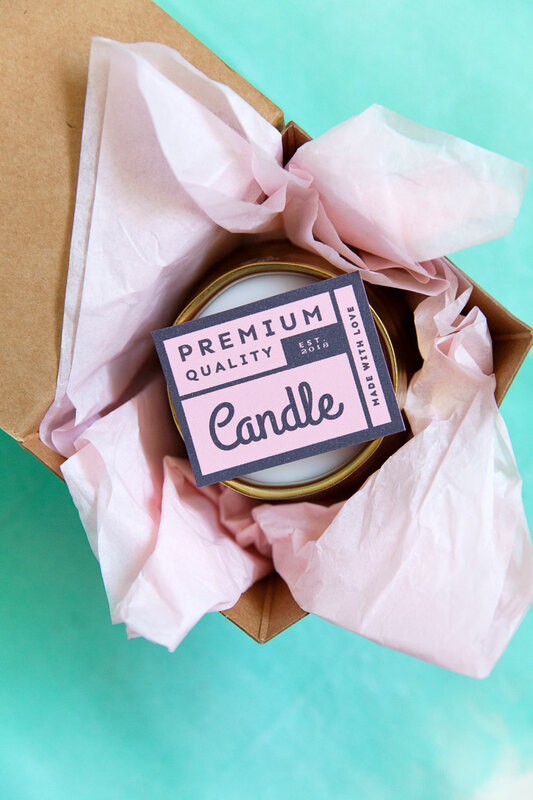 Finding the best wick size for your candle is important. 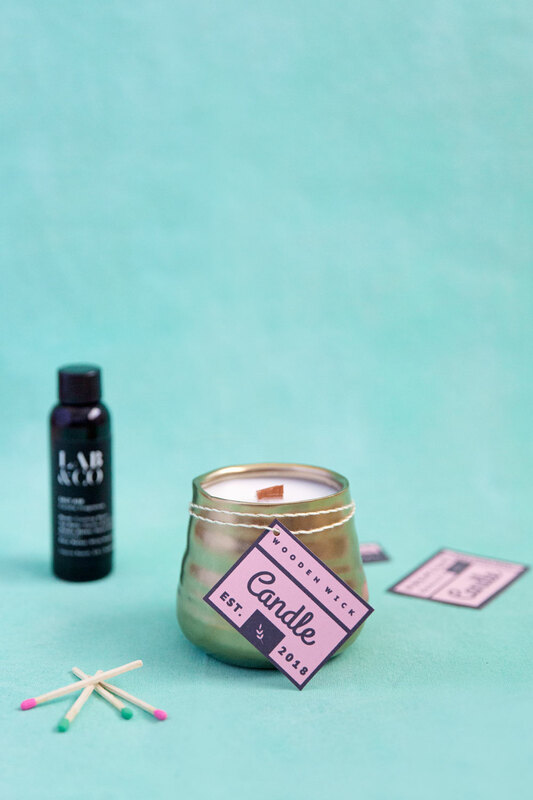 -Then burn that beautiful candle, make more, give to friends or start your own candle business because Lab & Co. makes it THAT easy! For real! Now gift tags are a MUST when giving gifts and so I have some printable ones for all of you! 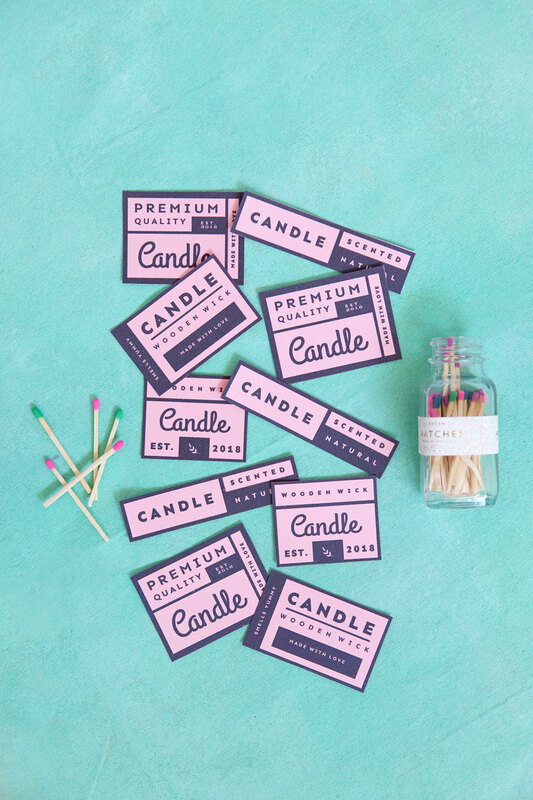 Print, cut and tie these cute tags onto your gifts because they will make your candles that much cuter! I printed mine on pink paper because well….I LOVE pink ha! But they come in just plain black and white. Now who is up for some candle making parties??? for real guys I am hooked! Have you ever made candles before?? These candles are so cute! I totally need some in my life!